In the 2017-2018, we launched ClassMax for individual teacher accounts. When this became successful, we started having schools asking if there was a way for administrators to access data that their teachers were collecting. This led to the launch of ClassMax Schools this school year. With a ClassMax Schools account, all teachers within the school receive a ClassMax account and up to ten administrators receive admin accounts. Additionally, ClassMax Schools receive additional features such as our PBIS tracker called “MaxPoints,” the ability to share student information between teachers, the ability to assign data to any student in the school, admin access to reporting, and more. First up is the row of brightly colored boxes at the top of the dashboard. This is an at-a-glance view of how much data has been collected that day in the school. As you can see in this screenshot, today this school’s teachers have collected information on standards-based progress 28 times, behavior 42 times, accommodations 56 times, and hall passes 3 times. The box underneath the header to the right is the live Hall Pass Feed. This lets any administrator know who is out in the hallways during school. It shows the student’s name, the teacher who sent them, the place the student is going, and the time they have been gone from class. Not only is this a security measure for school administrators, but it lets them know at a glance who should be out in the hallways (and maybe who SHOULDN’T!). At a glance information is critical to a school administrator, but what if they need to know more? There are several ways the data can be sorted and filtered on the admin dashboard. First, the administrator can filter by selecting any of the colored boxes at the top of the dashboard. This generates a filtered list showing all the data collected in that particular element. Additionally, the administrator may prefer the School Activity Feed, which shows a live feed of what is being recorded in the school. This School Activity Feed can be sorted using the icons at the top of the feed. For more detailed, historical information, an administrator would need to access ClassMax Reporting in their left sidebar. By dropping down this menu, and administrator may choose what types of reports to run based on the needs at that time. If an ESE coordinator was given an administrator account, they could run accommodations reports from this menu. If a dean was given an administrator account, they could run behavior reports from this menu. If instructional coaches were given administrator accounts, they could access teacher data on standards. The uses of reporting for all types of key entities within a school are wide-ranging. You will notice that the first report option is for MaxPoints. Let’s take a few minutes to look at our innovative, digital PBIS tracking system. To start, we will need to look at the difference between an individual teacher account and a ClassMax Schools teacher account. For an individual account, teachers can assign positive and negative behaviors, along with consequences. 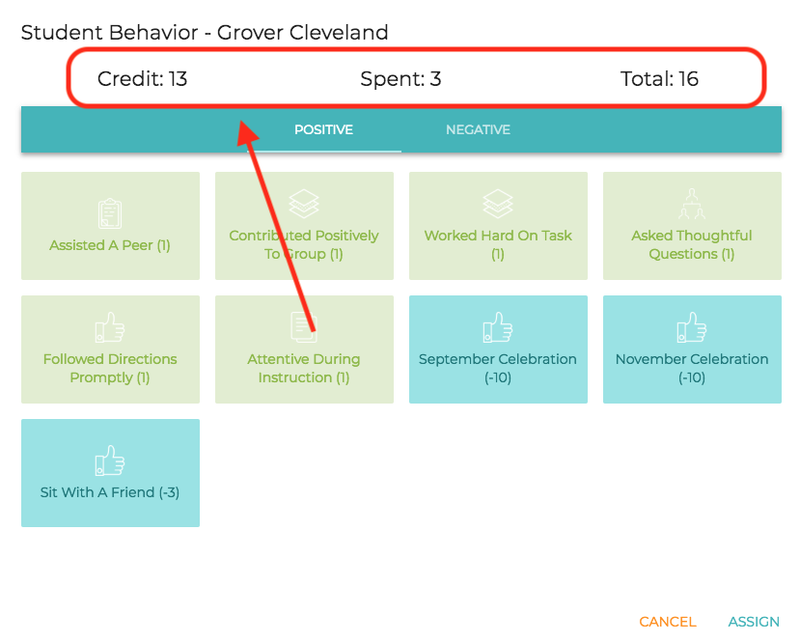 For a ClassMax Schools teacher account, administrators are able to assign a points value to specific behaviors, which collects as a running points total for students. When selecting a student and then behaviors, a ClassMax Schools teacher can see a points bank at the top under the student’s name. This shows how many points they still have to spend, how many points they have already spent, and how many points they have earned collectively all year. 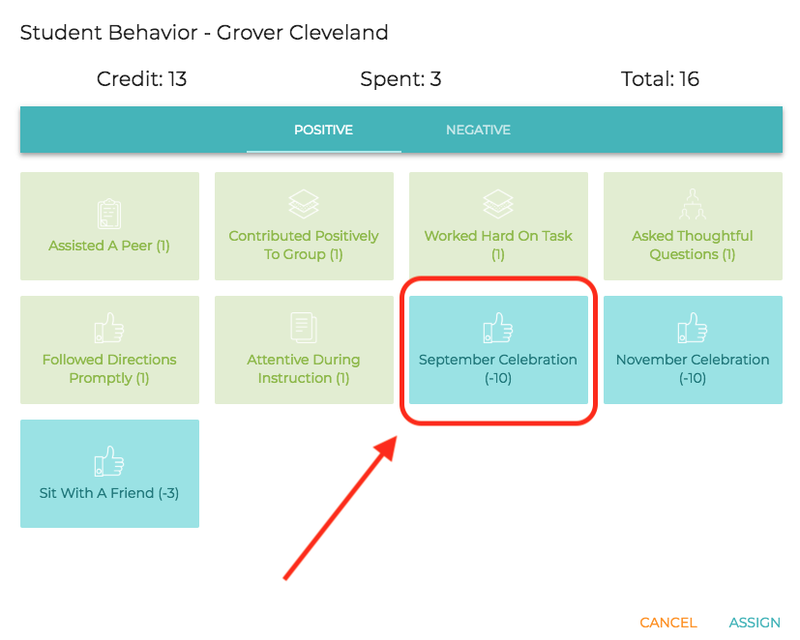 You will also notice that there are blue boxes on the behavior screen for ClassMax Schools teachers. These are incentives that have been set by the administrators that students can spend their points on. When these are selected, the points deduct from the student’s total points bank. With MaxPoints, teachers can assign behavior points to any student in the school, too. Not just their own students. They access a school-wide search for students in their left sidebar, under the heading “MaxPoints.” From here, they type in a student’s name and the list of all students in the school will filter down, allowing them to assign MaxPoints to any student, on the spot. So, how does an administrator get access to this? Through their reporting menu. From the ClassMax reporting menu, administrators can access points assigned and then sort that information by date, behavior, incentive, student, or teacher. That is a very simple overview of our ClassMax Schools administrator dashboard. For more information, you can see this video demonstration of the platform. If you would like to schedule a call to discuss implementing ClassMax Schools at your school, jump on over to our Schools and Districts page and fill out the form at the bottom. One of our sales reps will be in touch with you shortly. We have seen great success in schools where ClassMax is utilized regularly across all teachers and we are excited to see what it can do for your school! This entry was posted in ClassMax Schools, General Information. Bookmark the permalink.